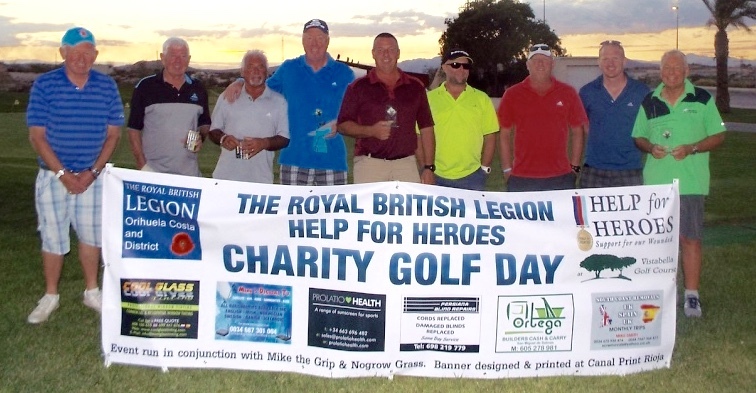 The competition was to raise funds for the Royal British Legion and Help 4 Heroes. 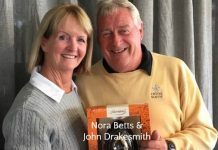 There were TWO separate pairs competitions held on the day with shotgun starts starts at 8.15am and 2.00pm for in excess of 110 golfers. As you can imagine this was somewhat of a logistical nightmare as the afternoon players arrived at the course at approximately the same time as the morning players completed their rounds and there were cards,raffle tickets,meal tickets and money everywhere but with some excellent organisation all went as well as could be expected and all players started on time which was something of a feat considering what was going on! 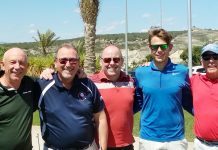 We must say a big thank you to Diego Garcia for presenting the Vistabella course in such excellent condition for our competition given the long hot summer and look forward to seeing the new 7 holes opening in the near future. 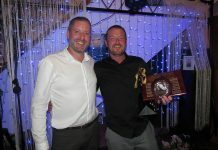 The Leader,Mike Probert (Costa Blanca Green Fee Services),Mick the Grip,Cash & Carry Building Supplies,Cool Glass Window Tinting,Mike’s Digital TV,Window Blind Repairs,Prolatio Health Skin Care Products and South Coast Removals,Albatross Golf Tours,Costa Claida Golf Tours,Galaxy Golf,Great Golf Company,Euronics ,Jane Knight Cakes PLUS many people who provided donations for the day and although too many to mention individually you know who you are and we thanks you all. 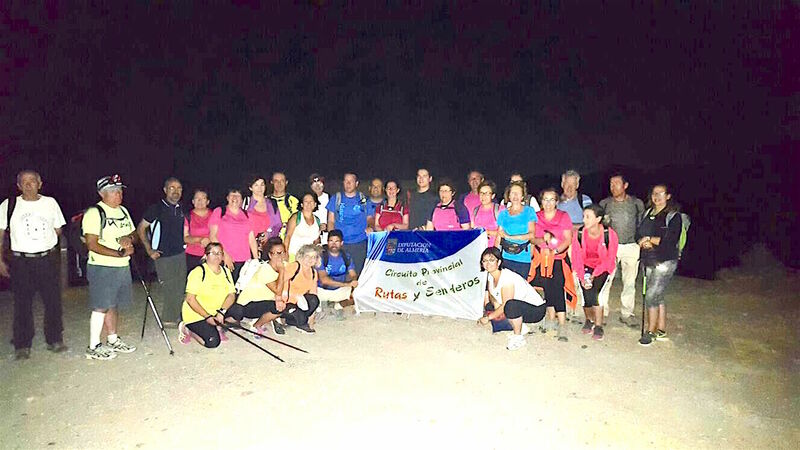 Altorreal,Alicante,Alenda,Bonalba,Don Cayo,El Plantio.Font del Llop,La Peraleja,La Manga,La Serena,Lo Romero,Nike IRM,Roda,Villaitana and Vistabella. The day was a huge success overall and while the till rolls are still being checked the organisers informed me that they expect the final amount raise to be in excess of €2750. SATURDAY CLUB 17th September 2016. 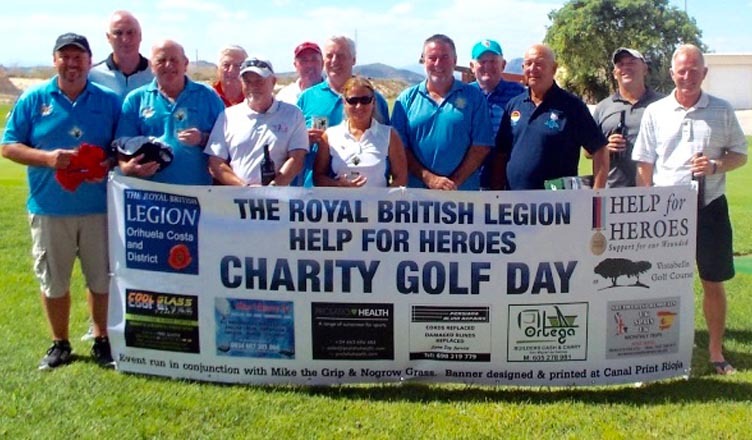 In association with the Royal British Legion and Help for Heroes the “Saturday Club” held a charity golf day at Vistabella on Saturday 17th September 2016. The day generated €323 towards the charity and was added to the monies raised a few days earlier at the event held on Thursday 15th September 2016. 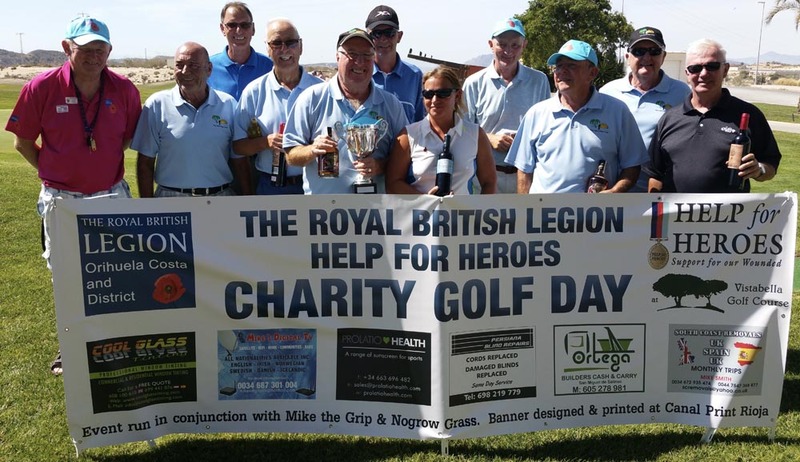 We thanks all the players and sponsors for their valued contributions to both these worthy charities and all look forward to next years event. 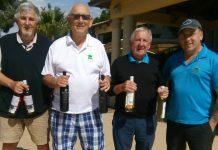 Report by Mike Probert of Costa Blanca Green Fee Services on 966 704 752 or 661 345 931 or see us at our web-site at www.costa-blanca-greenfees.com. Next articleTHE MOTORBIKE CHALLENGE IS UNDERWAY!